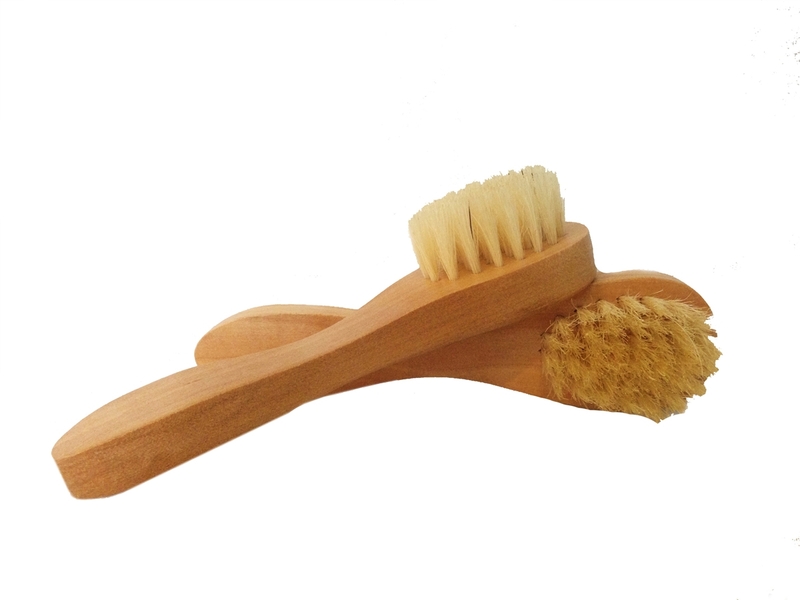 Small gentle bristles make up this facial brush. Great for exfoliating and dry brushing the face and neck for an absolutely gorgeous glow. This brush is a little rougher than I expected, but I use it twice a week to get the stuff out of my pores. It feels rough but does not make my skin red or irritated. I had heard about dry face brushing from a friend. Her brush cost $38! My sister found the Nourish brush in the store and loved it so I ordered 2 for myself. (One for my travel bag.) They arrived within a few days of ordering and I couldn't be happier with this purchase.